Let's talks about various Google search algorithms in the next few posts. The main Google algorithm updates that we often hear about are Hummingbird, Panda and Penguin updates. Other components include Pigeon and Knowledge Graph. It’s interesting to note that most of these names are not coined by Google; but by various industry sources in the SEO world. Also, the above mentioned names are the ones which are relevant today. If you are a professional in this space for long, you would have heard updates starting from Google Dance to Fritz to Caffeine and more. Moz provides a good history timeline of Google algorithm changes along with associated key news articles (Google Algorithm Change History by Moz). In the next set of blog posts, I will try to explain the different components of Google Search algorithm updates and how they may be relevant to your website. Let’s start with Penguin update since that had a recent update. When Penguin update was first launched, it started focusing on technical aspects of SEO like keyword stuffing and link building. Linking building strategies totally got changed because of Penguin updates. Penguin has gone through six updates and throughout it main focus has been on back links and link building practices. First Penguin update was in 2012 and it targeted at reducing web-spam, specifically penalizing those websites violating Google’s webmaster or quality guidelines.These malpractices include keyword stuffing, link farms, usage of doorway pages and duplicate contents. There were two more refreshes in 2012 for Penguin 1.0. The next major update (Penguin 2.0) was in 2013. Some of the aspects that this update were how Google views advertorials and continued refining of back linking practices. Advertorial was not completely penalized; instead by posting visible disclaimers, websites had to make sure readers will be able to figure out the advertorials. Fortunately, the historic linking practices were not completely penalized; but it penalized any malpractices beyond Penguin 2.0 launch date. Some other interesting changes made in this update were how an authority get ranked better in a particular domain. For example, if your website is an authority in pediatric queries/articles, you may get a better ranking for those search keywords.Thus SEO effort was getting more aligned towards the content marketing strategies.This also meant a shift of SEO focus from outside to in. Fifth update of Penguin (Penguin 2.1) was released by Google during October 2013. While there were no visible and significant changes in this update, industry experts consider this update improving the level of link-bait analysis;and identify spams at a deeper level in websites. Inherently, recovering from penguin updates meant looking at your link building practices. Also there were many cases of recoveries during this update. A study on Google Penguin 2.1 update by MathSight later this year found that there is linkage between quality of the content, anchor texts and links. Some of the factors included the quality of words and syllables in the body text; thus giving importance to readability. Having an impact due to anchor texts means – it could have an impact due to internal links too. Over-usage(optimized) of anchor texts and associated internal links (like link grids) may have adverse affect due to penguin update if it was meant for SEO and not from a UX perspective. Other impacts of Penguin 2.0 included the increased importance to contextual links (links that are contextual and relevant to an article), penalizing article spinning and unethical usage of micro sites. 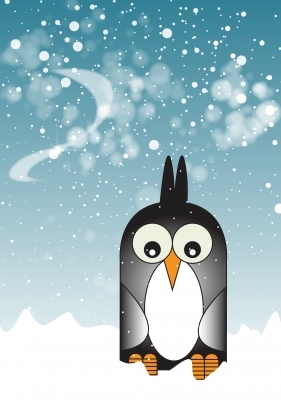 Some industry experts like Glenn Gabe argues Penguin affects SEO tactics like forum spam. The latest update for Penguin was this year – Penguin 3.0 which was released on October 17, 2014. It is expected that in this refresh, some sites with bad linking practices will be demoted further and at the same time may help the sites hit earlier and taking recovery actions will be benefited. How to test whether your site is affected by Penguin updates? We can understand whether there was an impact by looking at the traffic. To understand the impact quickly, you could do a site wide search using Google (using ‘site:’). If you are not able to see any page results from your site, it means you are affected. Use any free tools like Fruiton or Panguin. These require giving access to your site analytics. Essentially these tools provide a time chart overlapped with key dates when the algorithm updates happened. So you can conclude your site is affected if you see a reduction in site traffic around these dates. If you think there is a possibility of manual penalty from Google, you will get a message in the webmasters tool. How to recover from any Penguin penalties? This is a comprehensive topic beyond the scope of a single post. The most important step is to do a back-link analysis. We have to be very careful while doing backlink analysis to differentiate between various quality links.The best place to start is your Google Webmaster tool. It provides a sample of links to your website in ‘Links to Your Site’ section in Search Traffic. You can also use other third party tools like Majestic SEO or Open Site Explorer. Group the links into which you think are malicious, which are of high quality and so on. You could ask the website owners to remove any links that you think are spams/not worthy.Or else you could use the Google disavow tool to remove the links from dodgy sites.But one needs to be very careful since it can result in un-wanted issues.Make sure to read the Webmaster Tool help on this topic.